Tarot, Asana, Mudra, Crystals – let’s Journey….. I am throwing it all into the mix with this post – a tarot card with some practical options to guide you forward? Let’s take that journey with some yoga as there is nothing like asana to distract and clear mind and body. Add a mudra – hand gesture which you can do anywhere and of course….crystal lover that I am…..the crystal energies that assist. To carry with you during the day, or sit and meditate with. And so we have a little …….. Mind, Body, Spirit. The card that came forward for today’s post is the 5 of Pentacles – I know – it’s not the most exciting card in the deck but the Tarot is referred to as The Souls’ (Fools’) Journey and we are that Soul. It is all about us taking an honest look at ourselves and our situations and that’s not always pretty! The number five is always going to bring up conflict and challenges- putting us in a place of transition. The picture says it all – a feeling of destitution, lack, poverty and sorrow. However, look at the light behind her – all is not lost – there is guidance to be found whether that be tapping into our own higher self, connecting with our Spirit Guides, or seeking help from other sources. The card is saying this is a temporary state of affairs but we are being challenged and will have to dig deep to see ourselves through it. Through this we can come to a place of empowerment as we awaken to our inner potential. In this card the butterfly represents the figures’ Soul – it is trying to catch her attention but she is too caught up in her misery and solitude. So…there is a reality check here because the card is asking us to look at why we are in this position. Have we been extravagant with money, hit with redundancy or changes in economic circumstances, been over generous and now are the ones needing a handout, or are we compromised physically/ health wise ? We need to address the reasons we are in this position, learn from them and maybe think outside the box to move forward. Question: Are we a victim of our own circumstances and not others? Are we not seeing advantages/gifts that we do have? What strengths/resources do we have that can ameliorate our circumstances? In the Druid tradition the Oak tree is sacred and a symbol of balance. It is a reminder to stay connected to the wisdom of the earth with its’ roots as deep into the ground as it is tall and to stay connected to Spirit through the branches reaching into the heavens. The Oak is considered protective and bought good luck possibly due to the fact that it is said to attract lightening and able to withstand the blast. The balance Vriksasana – Tree Pose teaches us to connect down into the earth so that we may stand tall and still on one leg. Our arms radiate up to the sky like branches and we become a channel of energy as we draw energy up from the earth through our roots and radiate it out through our head, hands and fingers. Simultaneously, we draw energy in from the Universe and channel it in through the hands and crown down the spine and legs – feeding it into the earth. That flow of energy is liberating and strengthening – just like the mighty Oak we can hold steadfast against all odds. We may sway but each movement teaches us to re-focus and reconnect into the earth, to secure our foundation and create stability. In our new found stability we find stillness of mind. With deep slow breaths we channel in both Earth and Divine wisdom finding clarity and support. Think of mudras as doing yoga with your hands. Hakini Mudra aids memory and helps us to focus. It helps us to keep on track and to the point. It is interesting to note how often someone being interviewed, or giving a presentation, bring their hands into this position. Gertrud Hirshi (Mudras for Body, Mind and Spirit) states Hakini Mudra synchronises the two halves of the brain and that every circumstance even the unpleasant ones contain within them an opportunity, a chance. The trick is to find and use it. By bringing the finger tips together it is like plugging our chakras in to the energy that we are channeling in through the spine. And we want all our chakras to be running at optimal frequency to clear the 5 of Pentacles energy. You can do this mudra whilst in Tree Pose – establish the pose and connect Above and Below. Then bring your hands down to the heart centre and form Hakini Mudra – now breathe and observe. Be aware of subtle sensations or impressions. Hold for at least 7 breaths on each side. Alternatively sit in a comfortable position on the floor, or on a chair. If using a chair make sure that you can place you feet flat to the floor. Close the eyes and watch the breath slow down. Make the connection of your energy flowing into the earth like you are creating roots and feel the subsequent rise of energy up through your spine. Follow it out through the crown of your head – visual your branches reaching out into the heavens and allow Universal energy to pour in through the crown of the head and down through your spine into your roots, into the earth and give Gaia some love. Then bring your attention to the fingers: starting with the thumbs and working your way through the fingers – visualize the breath flowing in and out in the colour of each chakra point that the finger relates to. Complete 7 breaths for each of the chakras. 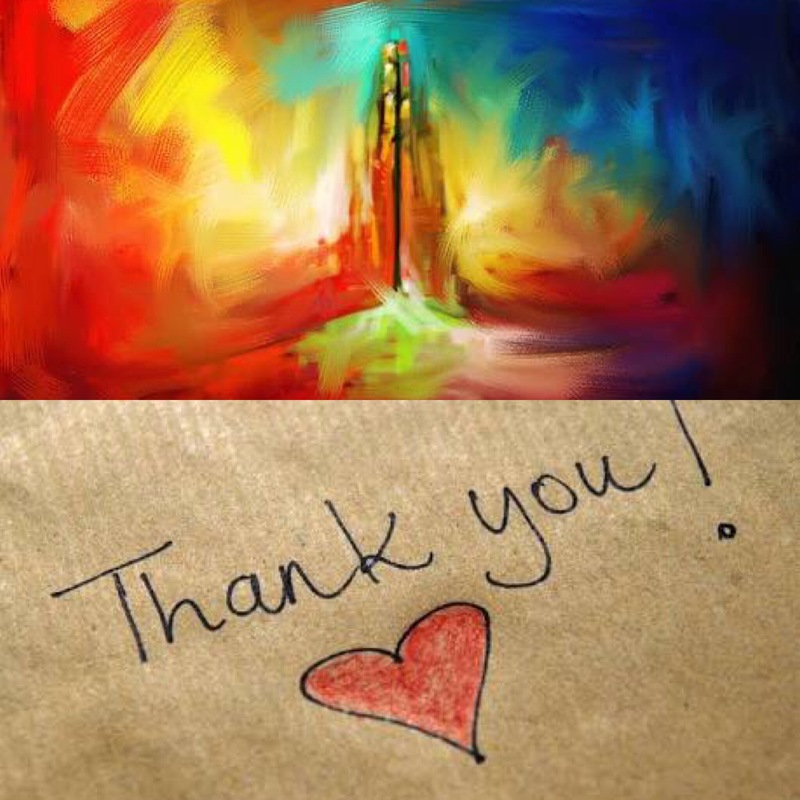 When you have complete you colour visualisation and 7 breaths at the little finger/sacral chakra – bring the awareness back to the heart centre and complete 3 conscious breaths. Absorb the energy and when ready bring the awareness back to the physical body and open the eyes. Now we take a look at some crystals that can support our transition through the 5 of Pentacles. You can choose one, or all, to carry with you during your day, place under your pillow at night or meditate with. Because this card can make us feel stuck or alone my first thought is Snowflake Obsidian. This black stone is speckled with white spots and reminds us that no matter how dark things may appear there is always light – a bit like the light at the end of a long, dark tunnel. It protects and nurtures whilst giving us that sense of hope. Smoky Quartz comes to mind because it is the perfect stone have with us when we feel stressed and ungrounded. Smoky is protective and transmutes negative energy into positive energy – it will help us stay the course. Flourite is my third option for our crystal combination. Flourite brings structure and order when there is chaos and with the 5 of Pentacles we need to regroup, restructure and think outside the box. Flourite will help to inspire new possibilities and its’ beautiful colours are reassuring that things will get better. The promise of all being well – just like seeing a rainbow after a heavy storm. It also acts as a ‘psychic vaccum’ so will help clear the aura. We begin with October with an awesome Masterclass with Sarah Dunning to whisk us out of winter hibernation. Summer is on its way 🙂 – time to move, breathe in fresh air and soak up the sunshine! Sarah is currently teaching the Thursday 6.00pm class which is the perfect unwind for the end of the week. A class for everyone – we all need time to stop and recharge – give it a go. There is quite possibly no better overall workout than a vinyasa flow class. Not just because of the flexibility you develop, but because of all of its physical benefits. Join us for a weekend warrior yoga class in which we will stretch, bend, and breathe it out. Move with your breath and find your inner strength. Some upper body and core conditioning will be included, with specific instruction for all levels, as well as our favourite flows in the warrior series. In the group sessions everyone will sit with Suzan for their own reading – for this reason the group is small and intimate with just 10 spaces available. We still have some spaces for the Talk Saturday 8 October for those not necessarily wanting a reading but have questions regarding the Spirit realm, or simply want to understand the after life a little more. Suzan loves animals and is able to communicate with them both in this life and when they have past over. She is often asked to give readings for pets and relay their messages. For Suzan there really is no separation between the living and those in Spirit and offers great comfort and closure. This is why she has been such a sought after psychic throughout her life. Those with private readings booked are able to attend this talk for free. The Tarot Course is booked for Saturday 12th & 19th November 11.00-5.00pm. This is a small group and is full already however I am taking a waiting list for another date to share Tarot insights and wisdom with you. 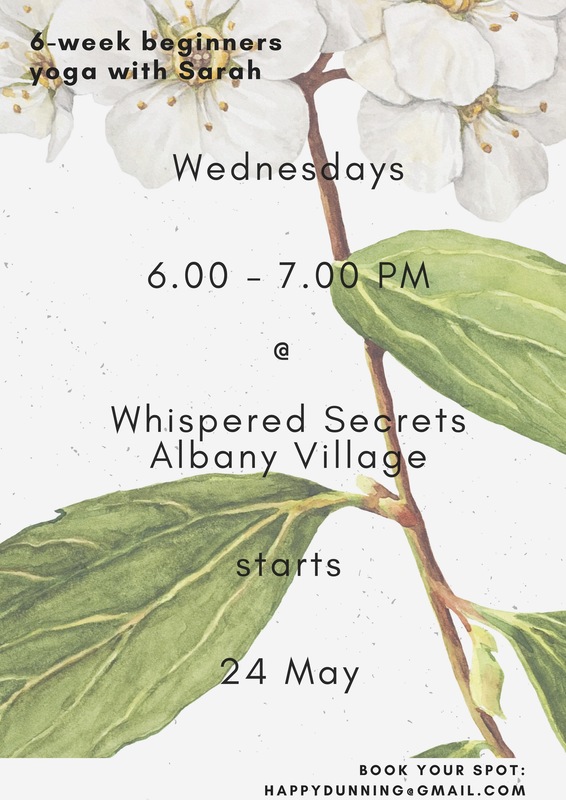 Text: 021 379 286 or email: whisperedsecretsyoga@gmail.com if you are interested. One more Mala & Beading Day will be taking place soon too. Design your own bracelet, necklace or Mala for someone special and that includes you :). The perfect Christmas gift made with love and healing. Once again let me know if you are keen and I’ll arrange a date.